You may also like some more recipe's of Cookies. 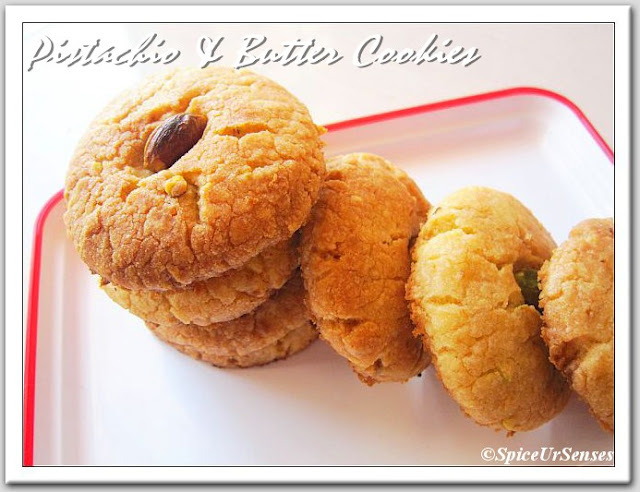 Butter Cookies luks yumm and welll-done.luv the recipe and the clicks Dear. These look perfect and very inviting dear. amazing clicks too. Beautifully done... particularly like the pista on the top!! 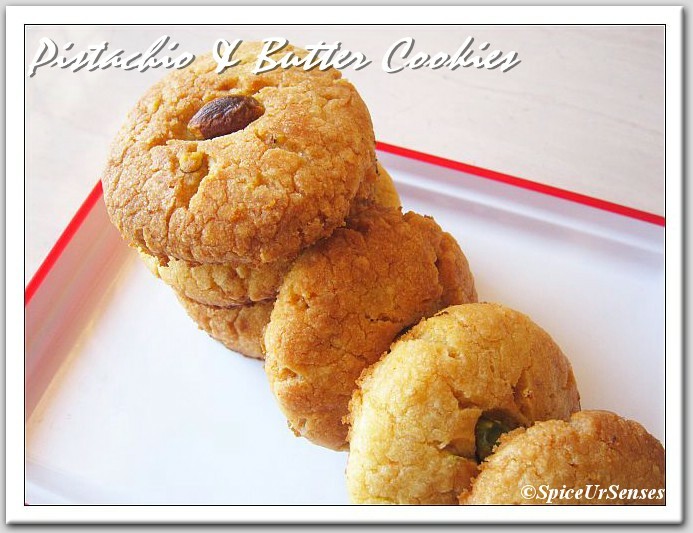 Adding pistas should have given a great effect to these cookies...They look wonderful..
delicious and & lip-smacking cookies! These cookies look so good! Yum! Cookies looks perfect, crispy, crunchy and yummy. Gorgeous presentation. These cookies look great, especially with the pistachios on top! Cookies look absolutely delicious and perfectly made. As beautiful it looks, so must be the taste, too. 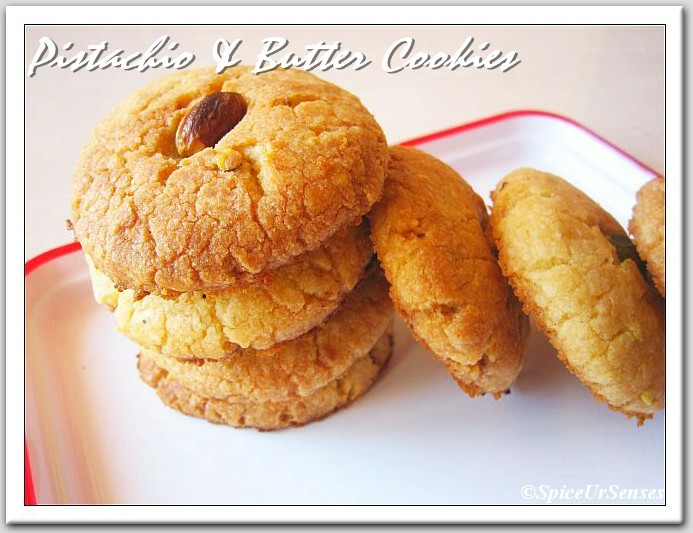 Yummmy .. butter cookies .. thx for linking to the event dear.